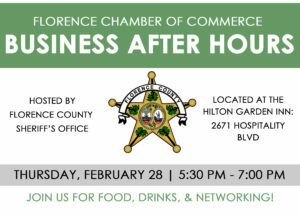 The Florence Chamber invites you to join us for an after hours event hosted by Florence Country Sheriff’s Office. 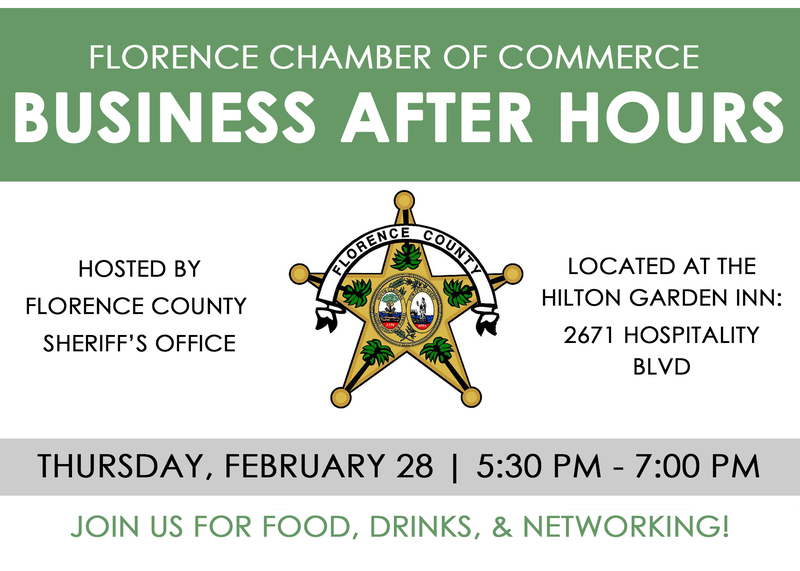 Come out on Thursday, February 28th from 5:30 – 7:00 pm at the Hilton Garden Inn located at 2671 Hospitality Blvd for great food, drinks and networking. Be sure to bring lots of business cards!